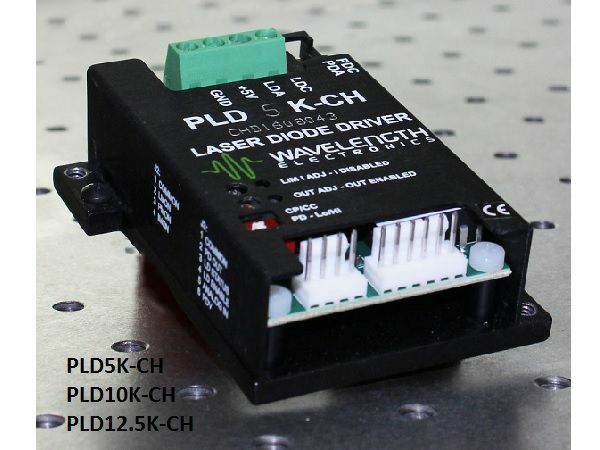 The PLD Series Laser Diode Drivers deliver the reliability and performance you expect from a Wavelength Electronics laser driver in a compact and easy-to-integrate package. Tens of thousands of PLD drivers are deployed in laser systems around the world, proving beyond doubt the reliability and stability of the design. 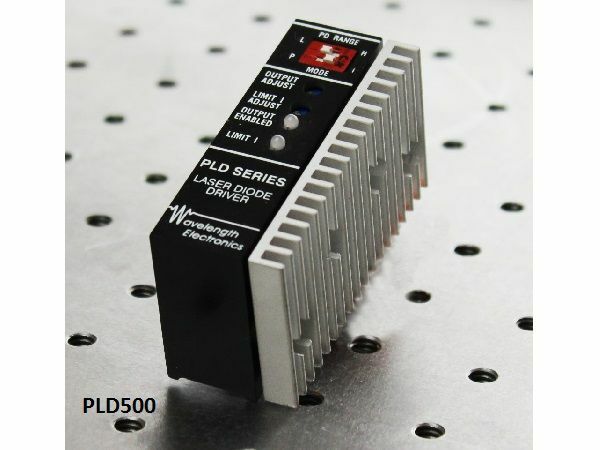 PLD Series laser power supplies are found in particle counters, manufacturing vision systems, photovoltaic quantum efficiency testers, wavefront scanners, fiber aligners, and laser diode LIV testers. 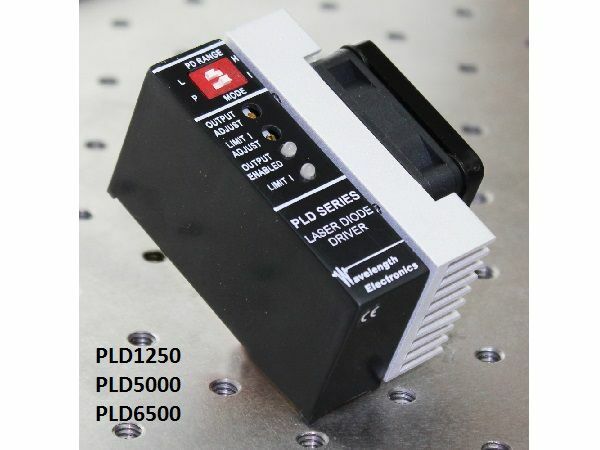 The PLD drivers operate from a single 5 V power supply. 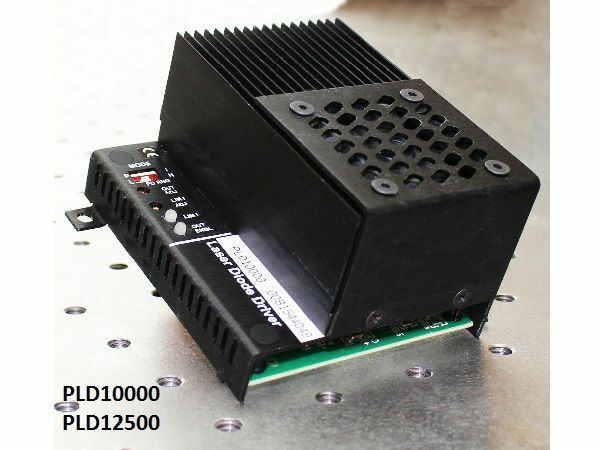 To accommodate high compliance lasers, or multiple stacked lasers, the PLD laser diode drivers allow the laser to be driven from a separate power supply up to 30 V.
The available PLDEVALPCB evaluation circuit board reduces your development costs and allows you to focus on designing the features that will set your system apart. Remote computer control is available using the USBKIT, which also allows graphing and datalogging. Remote enable can be tied to a safety interlock and a temperature controller, such as Wavelength’s PTC Series. Built-in constant current and constant power operating modes minimize your electronics overhead. On-board controls mean quick and easy driver setup. 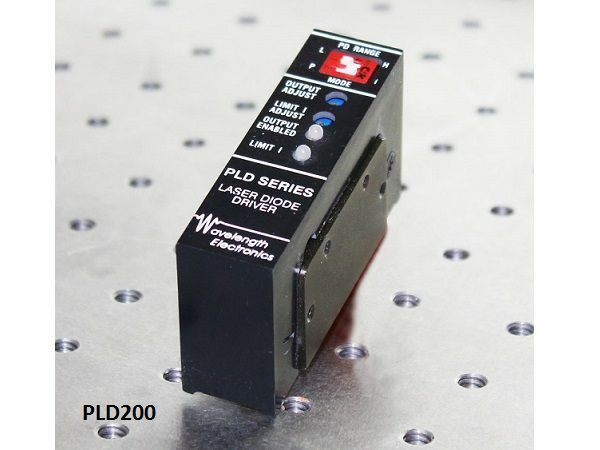 Analog setpoint input gives you remote external control of the laser current and modulation. Latching current limit safely switches off output if current limit is reached. Built-in safety features make your product more robust to real world operating conditions: latching current limit, slow start circuit, and a mechanical shorting relay protect the laser and ensure long-term system reliability. Long-term reliability means better up-time, fewer service calls, and more customers who are satisfied with your products.